Industry needs to begin to consider the general condition of the relationship of drawings to models..
A “drawing” draws one’s attention toward a location of accountable reliability, within an environment. A drawing defines a location of reliability within an environment, but it leaves out the environment. So it is insufficient. A model defines an environment, but omits designating locations of reliability. So it is insufficient. “describe BIM in 10 words (or less)”. I think you can describe it accurately by looking at what it delivers. Take as given the things that are said about work process (BIM process change), and look, for the moment, at the delivered result of the use of BIM tools. “Perhaps those who learn will become less occupied with facts and more engaged in larger questions of understanding,” she said. Students don't care, anymore, really, about modeling (with or without "properties") or drafting tools. They are all (nearly) commodities. Students care (as they should) about "representation". The same is true for professionals. In the world today, representation media, both drawing documents, and models, are deficient, not adequately fulfilling their intended purpose (communication). I think the concept changes somewhat now. Our goal is no longer (I used to share that goal too) Construction without Drawings. One can assume I think fairly that if one invests in new tools, new equipment, new workflows, that one ought to receive in return some tangible value for having done so, something substantially more than just "my drawings are (somewhat) better coordinated." It occurred to me after 10 years of driving documents from models myself that something’s not right, that it’s not enough. 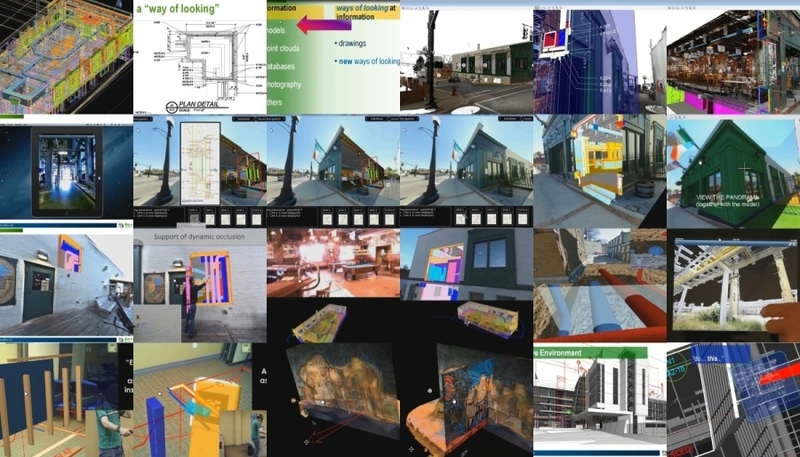 Hypermodeling infuses the project’s documentation into the 3D model, automatically. After using BIM for 10 years myself I noticed it goes only half way (or less). To automate documents is one thing, but this does nothing at all, really, to improve the communicative effectiveness of documentation, the purpose of which is - to communicate effectively. 1. place a callout symbol on a drawing document or in a 3D model. Name the callout, in the subsequent dialog box. 2. Drag and drop the named callout from the project explorer list onto a drawing document to express the drawing (to display that view of the project model on the document). A Hypermodel infuses the project’s documentation into the 3D model, automatically. The 3D model is infused on demand, automatically and comprehensively, with the clarifying remarks and graphics of the project’s documentation, the very documentation with which the project team has exerted itself clarifying the project.